The Crain family has been growing and processing quality English walnuts in the Sacramento Valley since 1960. Over the past forty years, the business has grown to be one of the largest walnut producing operations in the world. With this growth came the need to develop a by-products division. In 1995, ECO-SHELL, Inc. evolved allowing the opportunity to provide a full spectrum of walnut shell products. Since ECO-SHELL was formed, it has grown and continues to upgrade its facility with the finest state of the art milling and processing equipment. ECO-SHELL is one of the premier suppliers of walnut shell media to industrial markets around the world. As a result of having a substantial in-house raw material supply partner, ECO-SHELL is capable of entering long-term contracts and can guarantee a consistent supply without interruption. Our facility provides controlled environment storage for all of our raw shell. This is an important aspect of our quality assurance. In addition, our processing and milling operation warehouses are maintained to the highest sanitation standards. We can provide complete documentation on all process controls and Quality Control analysis data of every lot or shipment. 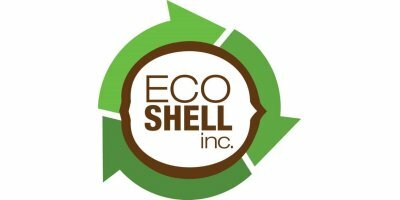 A sister company of Crain Walnut Shelling, Inc.® Eco-Shell products are bio-degradable, non-toxic, environmentally safe and cost effective for many industrial uses around the world.